This flirty top highlights romantic ruffles and a contrasting print to create a perfect casual-chic top! 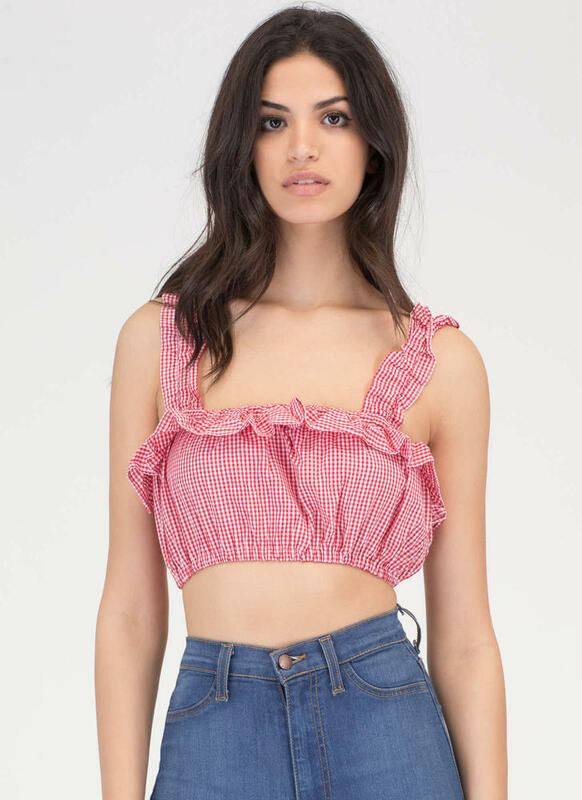 Lightweight cropped tank top is constructed from non-stretchy gingham fabric that features stretchy, ruffled shoulder straps and matching ruffled trim on an elastic neckline. 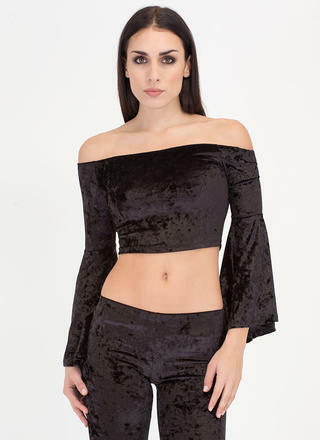 Finished with an elasticized hem. No closures. Pattern placement may vary.